As a charity, Kerygma180 is dependent upon donations for the work we do. We are so grateful for those who are able and willing to stand with us financially. K180 operates entirely upon the giving of donors. Your contribution is of immense help, no matter how small you might think it is! Thank you for standing with us. 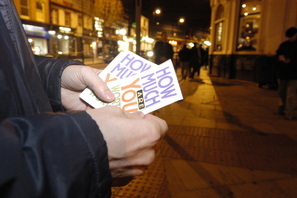 We have teams preaching the Gospel on the streets every week in London and beyond. And lives are being changed. Hundreds of Gospel conversations every month and without question, believers are growing in their confidence to make Jesus known! Street ministry is at the very heart of what K180 is all about. 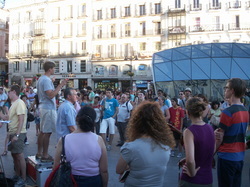 We are committed to partnering with local churches in taking the Gospel onto the streets of Europe and beyond. K180 provides training opportunities as part of our day-to day ministry. Trainees can join with us for an agreed period of time to explore the call to evangelist. We have had the privilege of hosting many trainees. Read some testimonies here from our trainees. We are committed to seeing evangelists raised up for this time, for this generation. We know, by God’s grace, lives are being changed through this initiative. Partnering with the International Leadership Institute, the vision of History Makers is to change history by accelerating the spread of the Gospel through leaders of leaders empowered by the Holy Spirit. 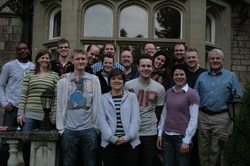 The mission of History Makers is to train and mobilise leaders of leaders to reach their nations with the Gospel. See here for recent testimonies as to the impact of History Makers. With teaching based on 8 core values for biblical leadership, this year we are working with emerging leaders in 25+ European countries. The goal is that each country would own HM for themselves and in each of these countries we are investing in a national young leader who is our ‘HM Champion’ for that nation. £250 will pay for a young leader to experience History Makers training. The EEI is a two-year programme designed to help train and equip evangelists emerging into a full-time ministry of proclamation evangelism. In partnership with The Billy Graham Evangelistic Association in the UK, the programme consists of four separate residential weekends of training, together with mentoring and opportunities to participate in major evangelistic initiatives. Alongside partners in various countries, K180 has pioneered similar training in several other European countries. See young-evangelists for testimonies and information. It typically costs £175 per evangelist for each residential weekend plus we subsidise participation in major evangelistic initiatives elsewhere in Europe. Whilst some evangelists can pay their way, we offer scholarships on a regular basis.